Through a vast array of specialist equipment and expertise, Stanley's can provide you with a solution to all your gas installation and maintenance requirements. 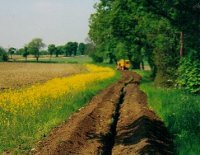 Pictured top left is the systematic cut, lay and installation of gas pipe using by road trenching method. 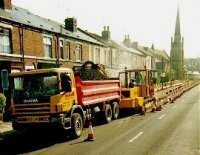 Areas where utilities are located together, direct labour teams and excavation equipment are necessary. 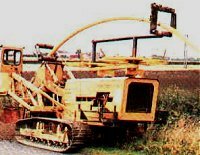 Pictured bottom left is a trencher installing gas pipe in a verge at the roadside.